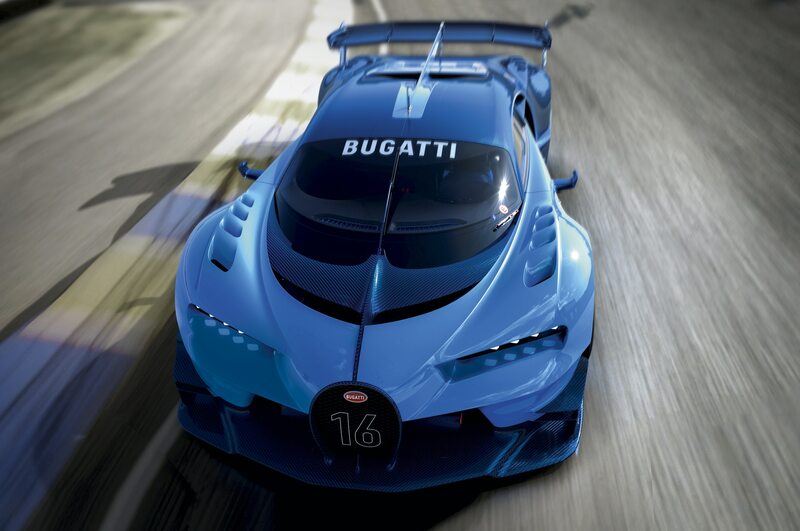 Virtual car inspired by classic Bugatti racers. 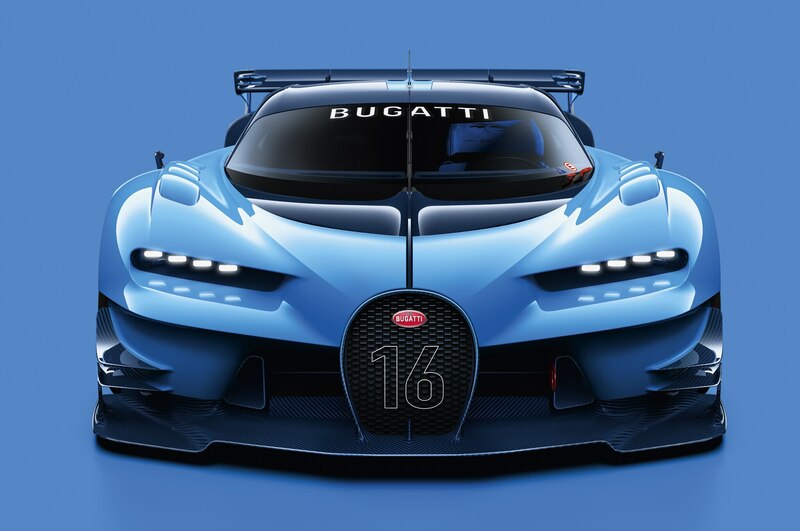 We won’t see the Chiron hypercar for some time, but at this month’s Frankfurt auto show, Bugatti will pull the wraps off its Vision Gran Turismo concept. 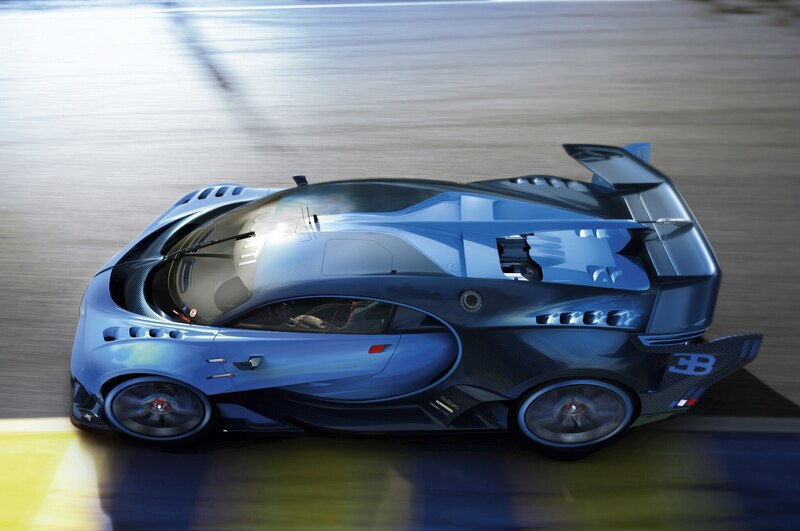 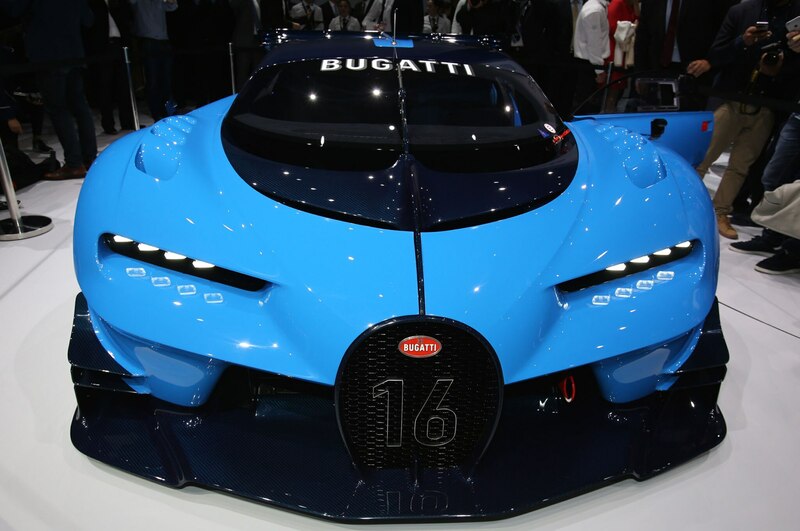 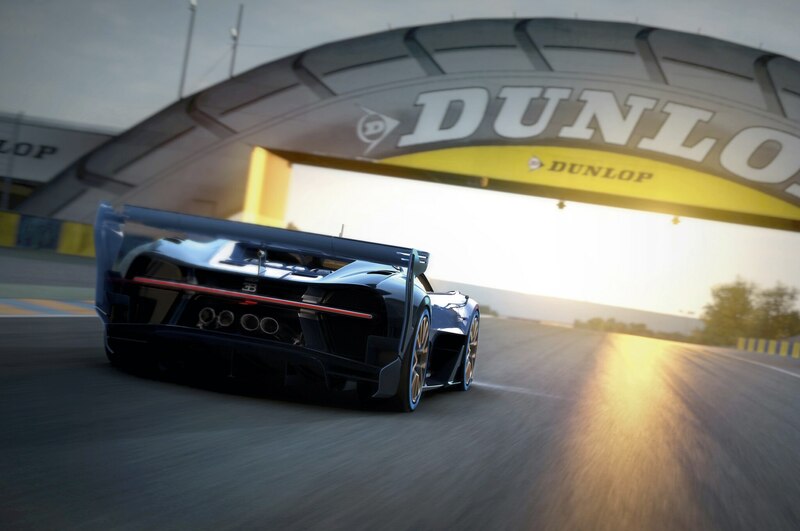 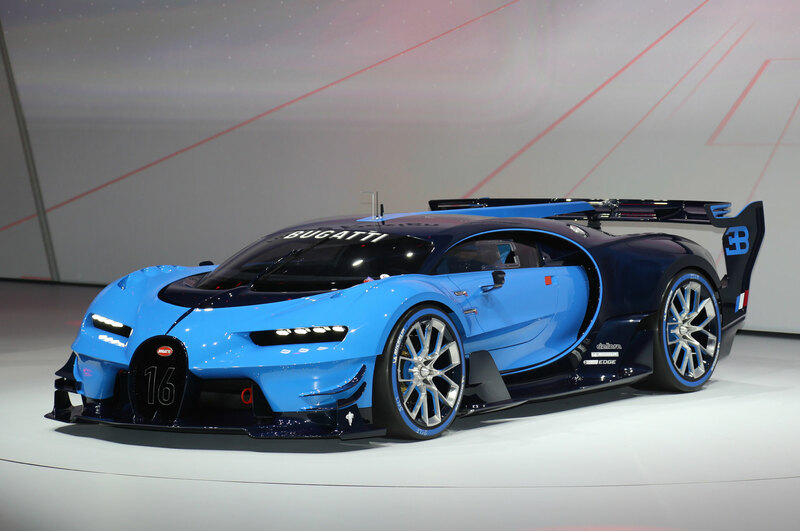 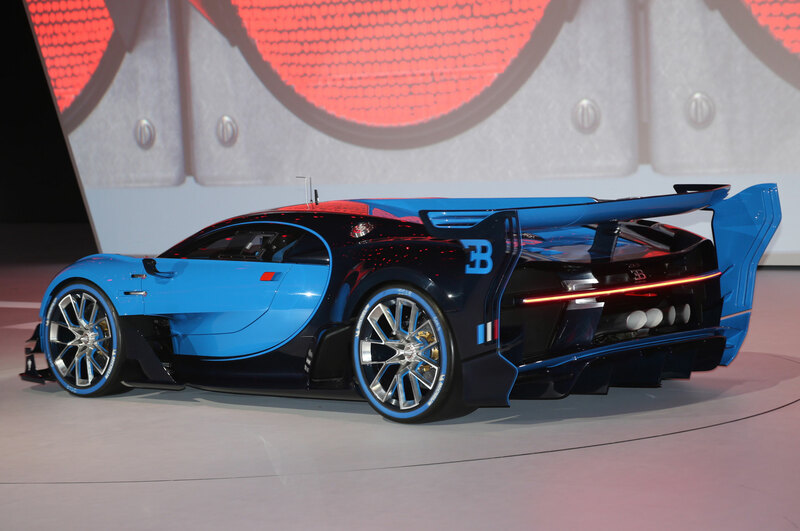 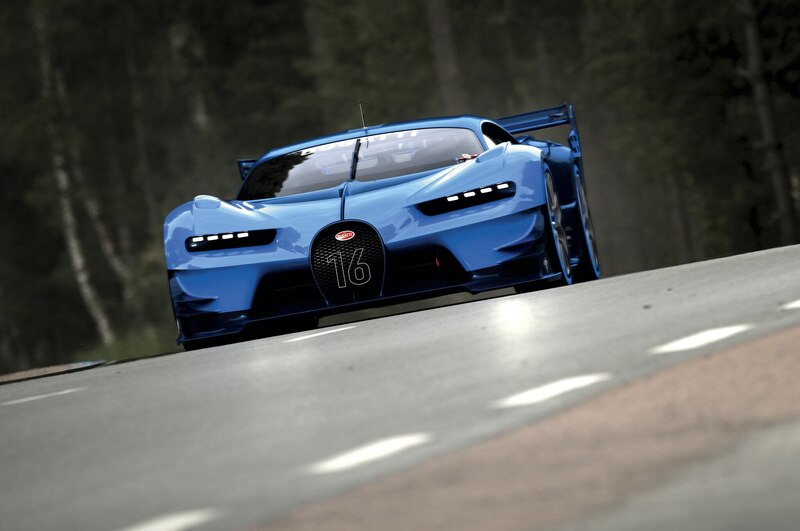 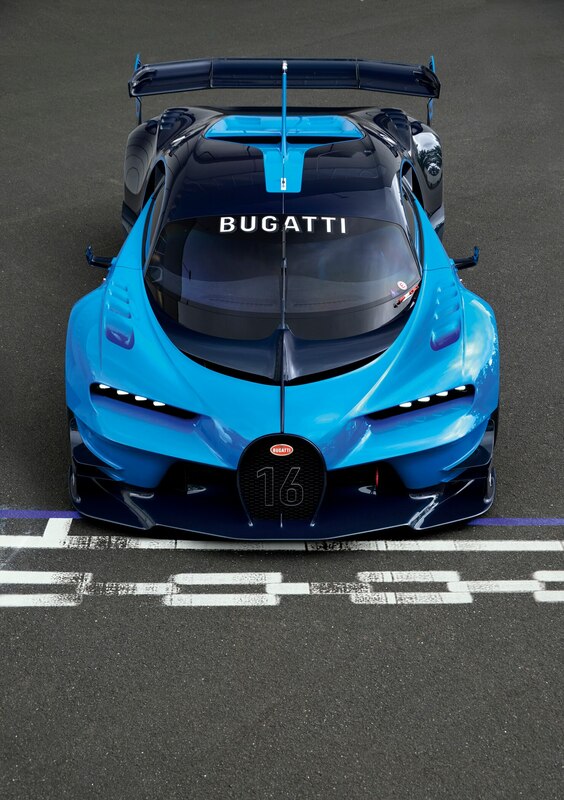 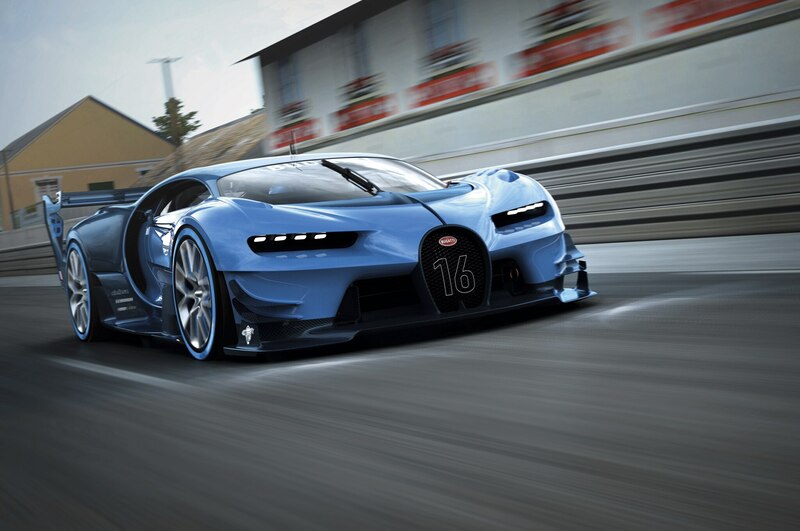 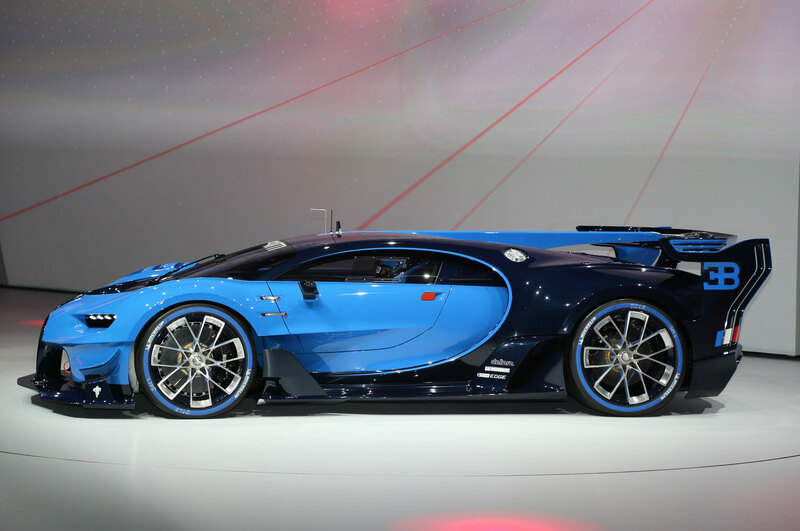 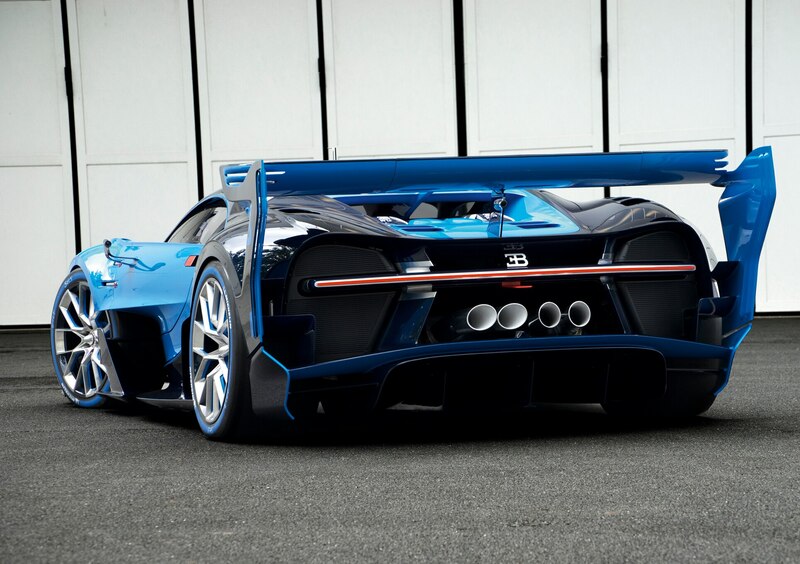 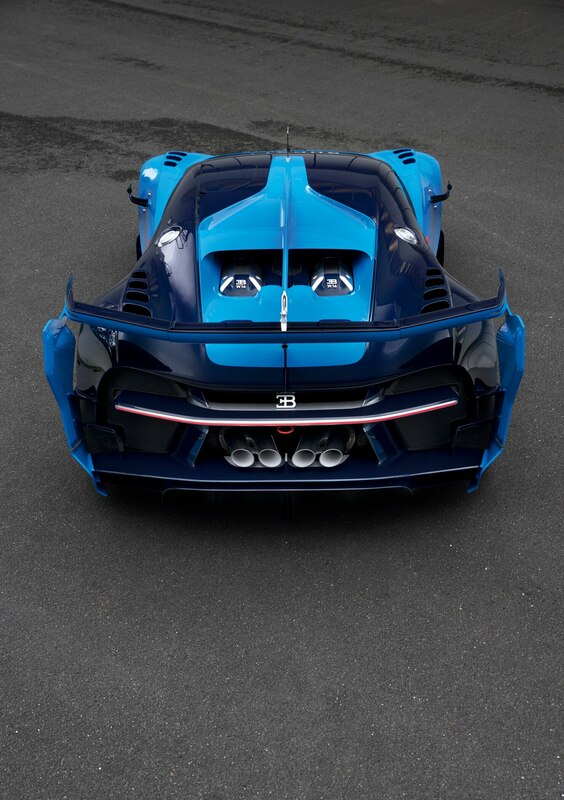 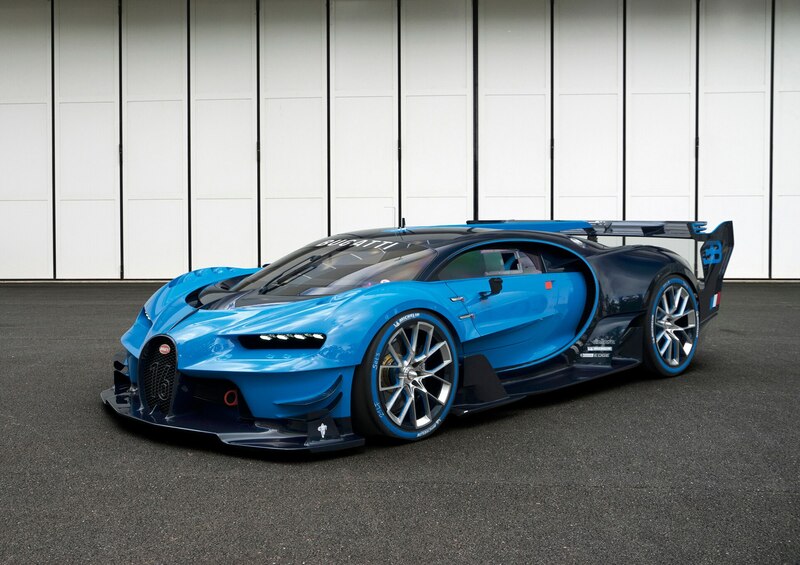 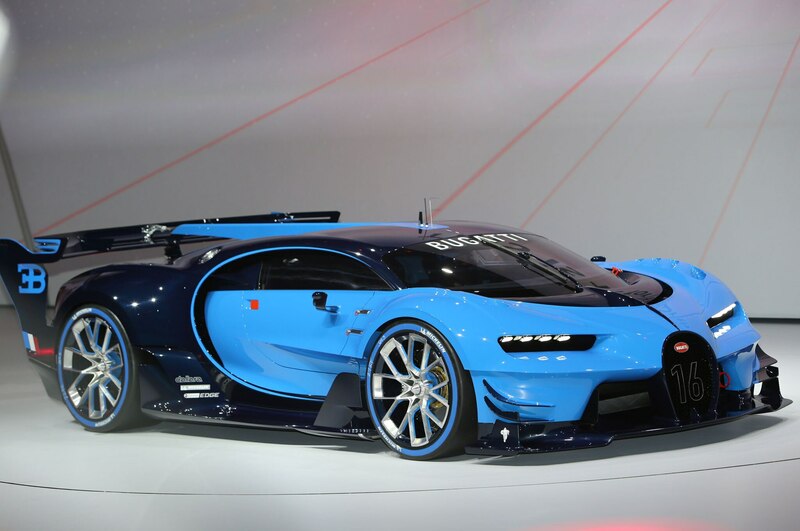 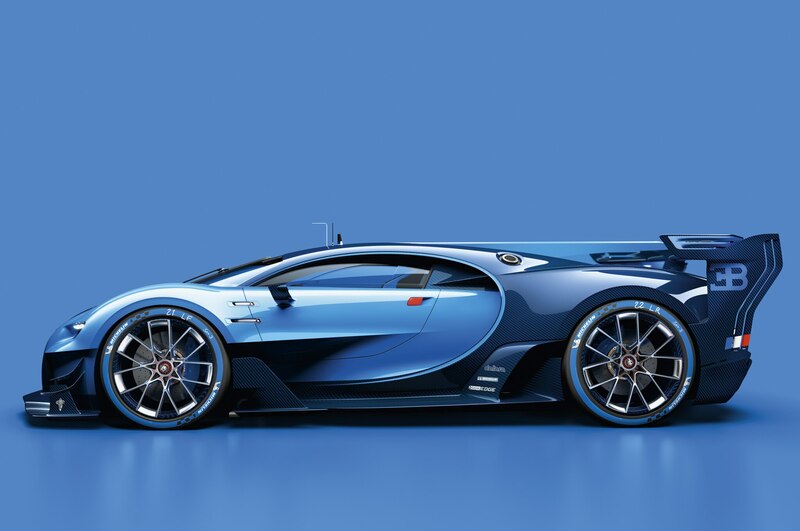 Intended to be offered as a downloadable car for the Gran Turismo video game series, the Bugatti Vision Gran Turismo takes visual cues from successful Bugatti Le Mans racing cars of the 1920s and 1930s. 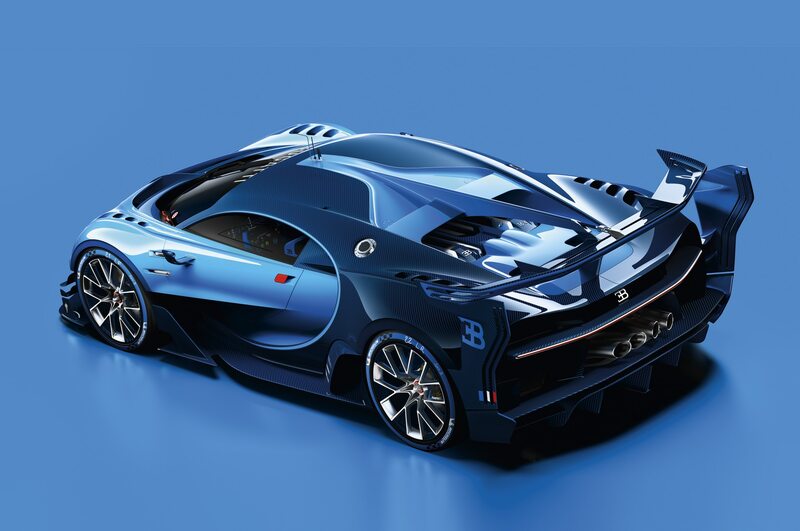 With an overall shape that builds upon that of the Bugatti Veyron, the Vision Gran Turismo concept is a sleek coupe with a wide, low stance. 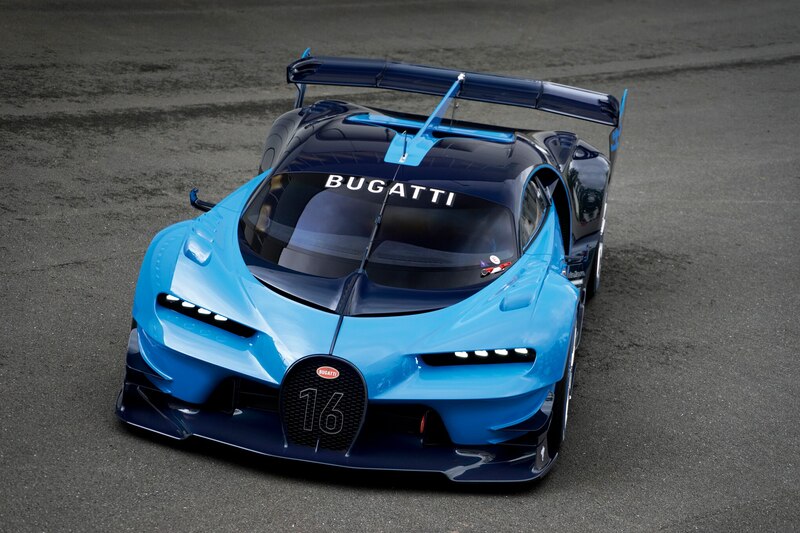 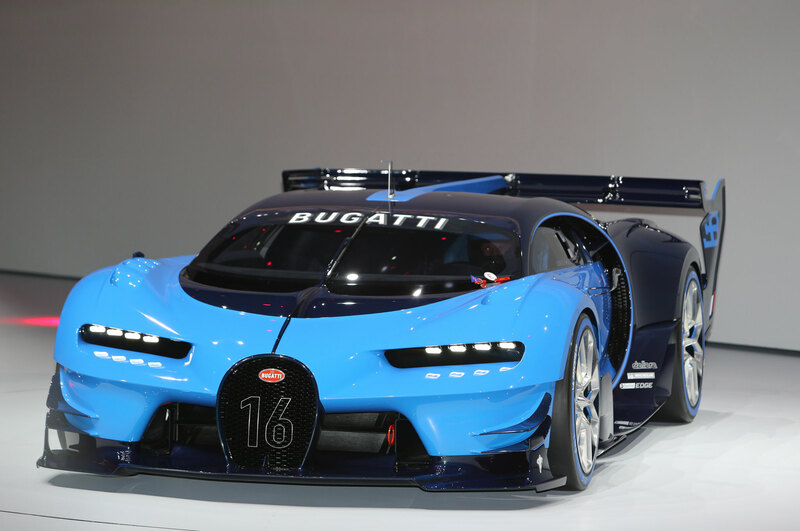 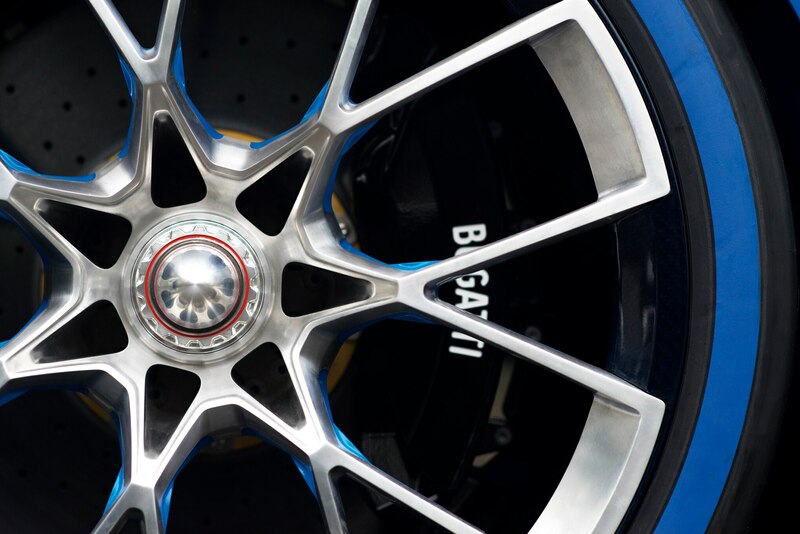 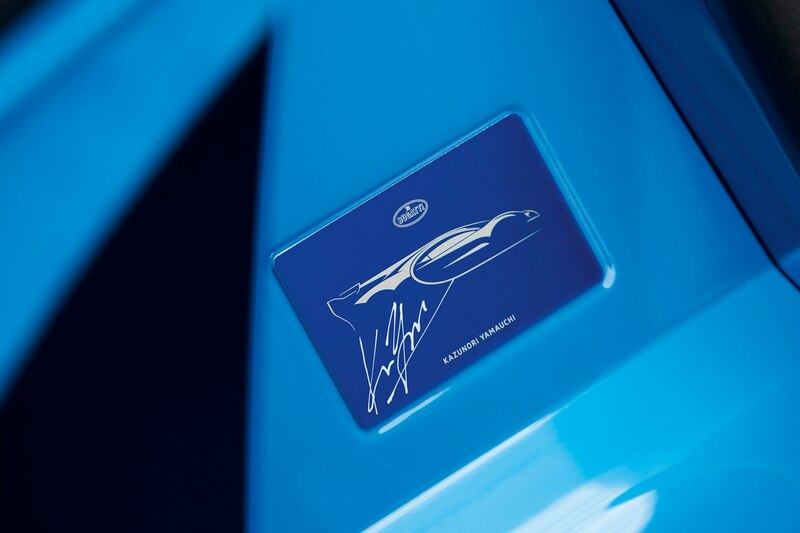 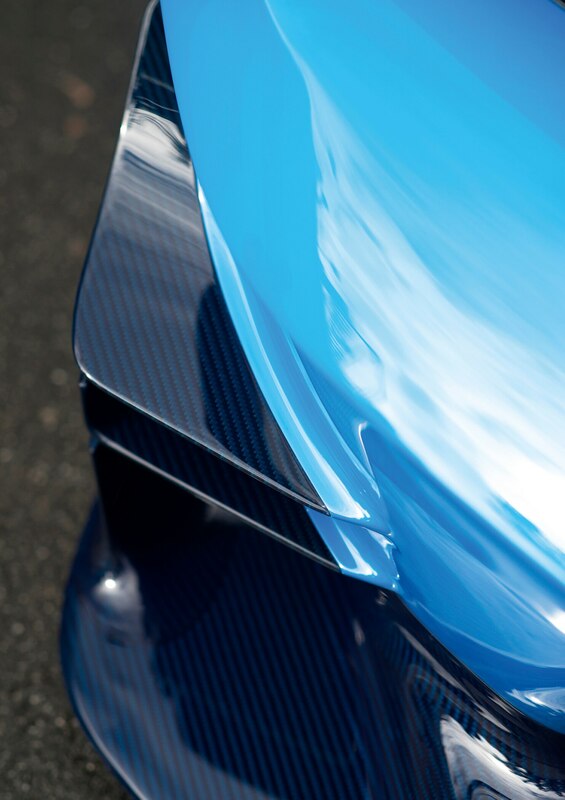 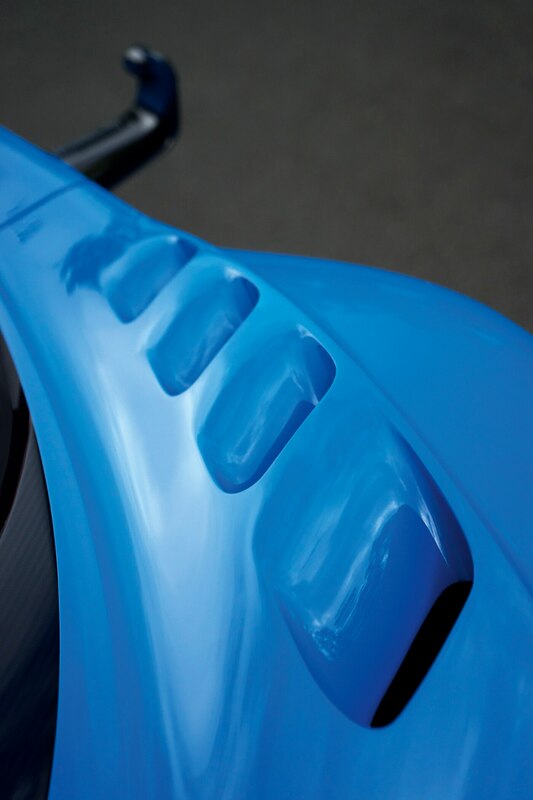 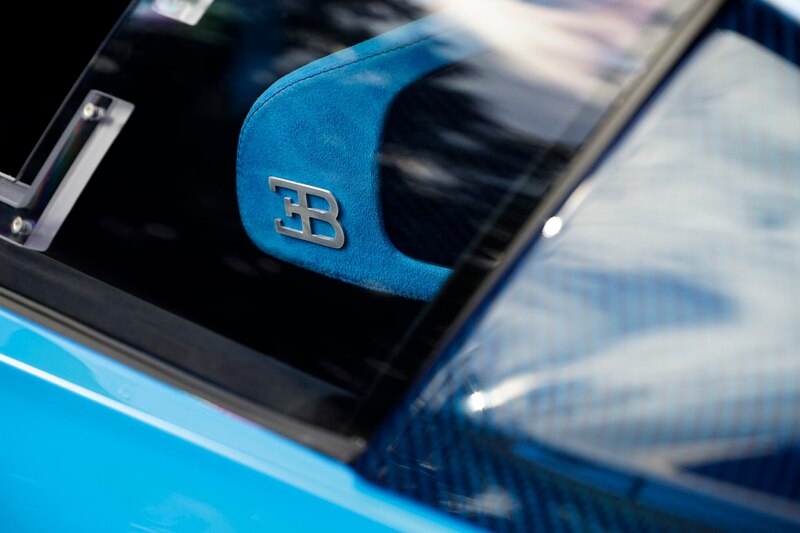 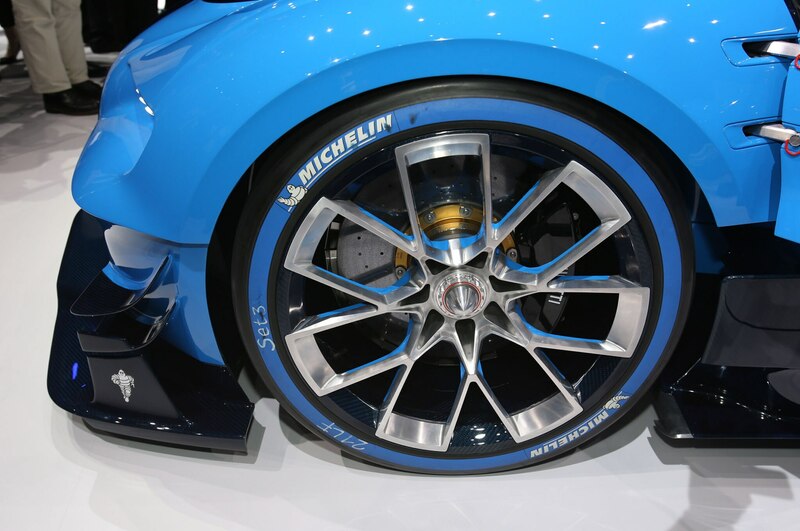 Painted blue to match Bugatti’s signature color that was inspired by the 1937 Bugatti Type 57 G that won Le Mans, the car also wears various black accent pieces. 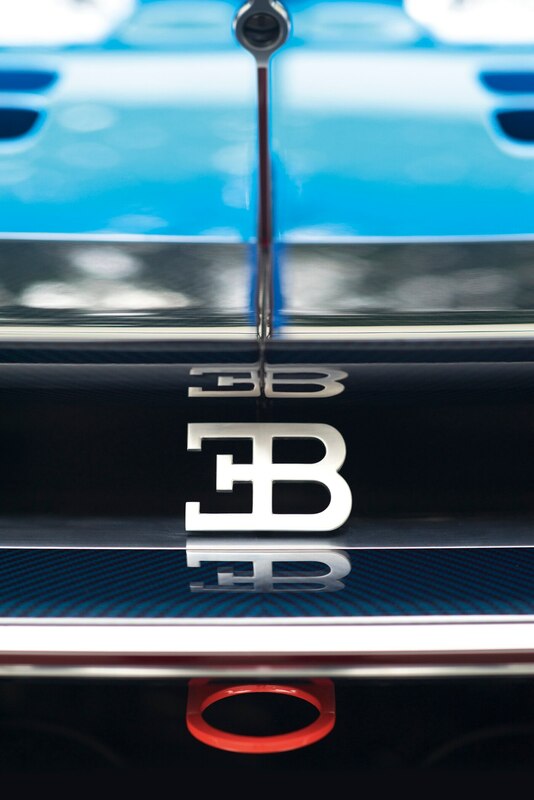 The brand’s signature horseshoe-shaped grille opening is up front, with eight “eyes” forming headlights at either side of the nose. 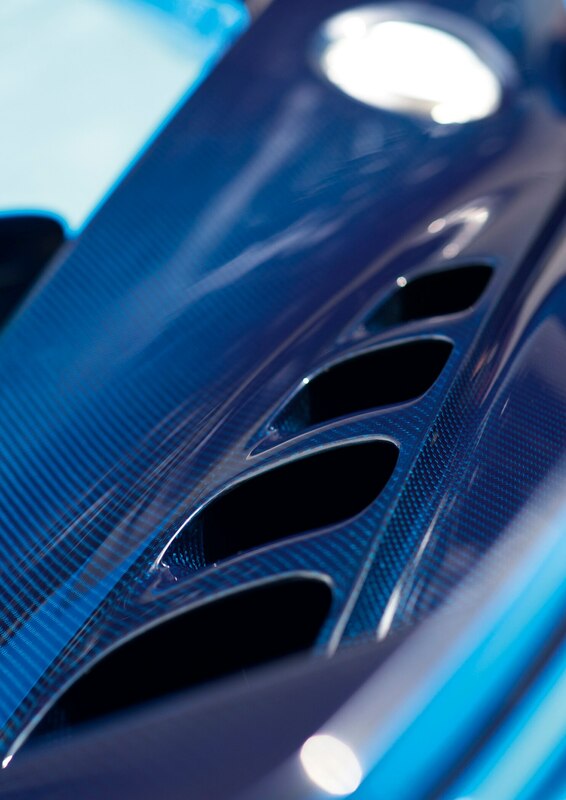 A center aerodynamic fin is drawn from the 1936 Type 56 Atlantic, while a NACA-duct air intake in the roof helps feed air to the engine without obstructing airflow to the giant rear wing. 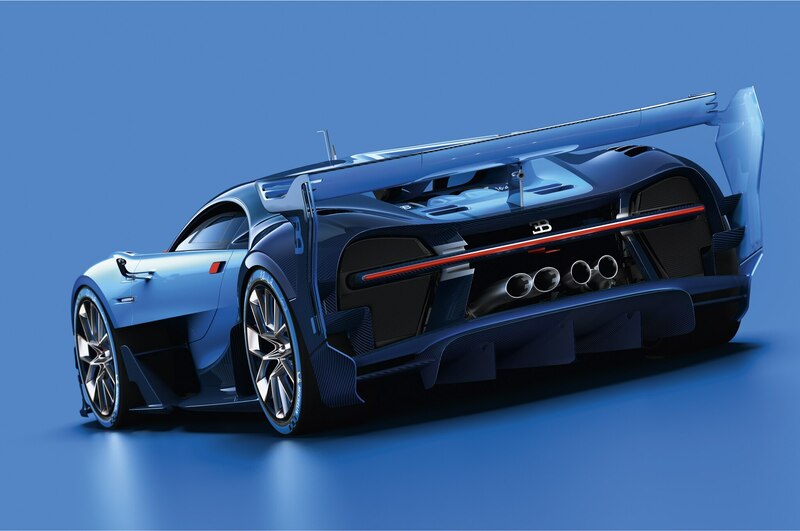 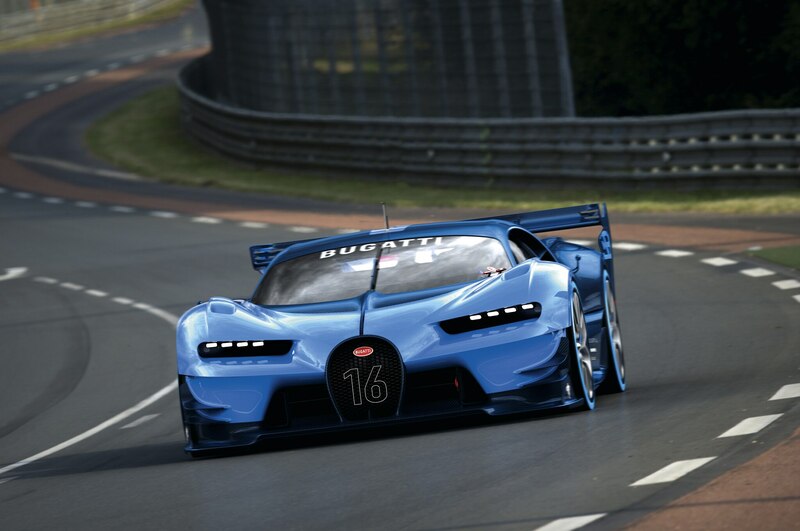 While few technical details have been confirmed so far, Bugatti says its Vision Gran Turismo concept stays relatively close to what is possible from modern car technologies. 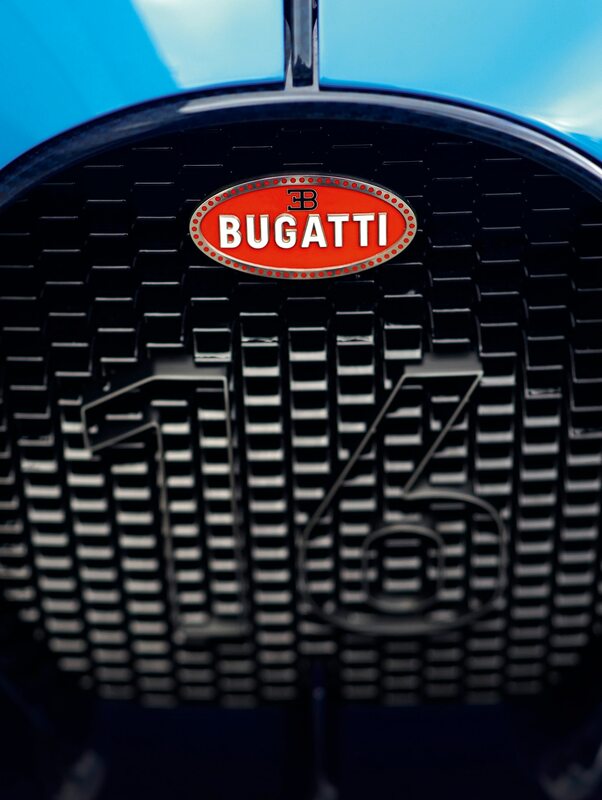 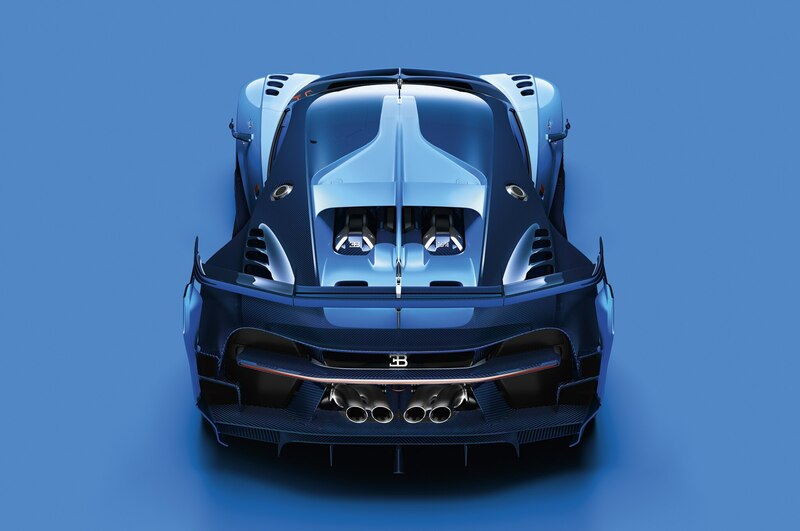 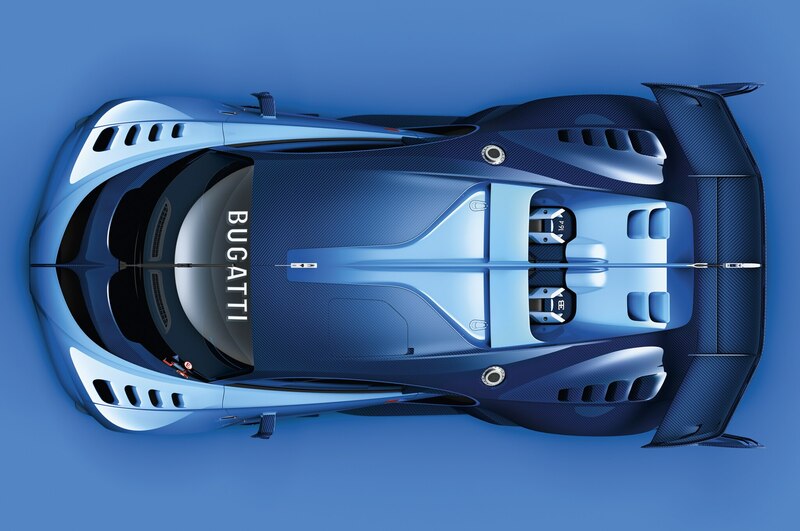 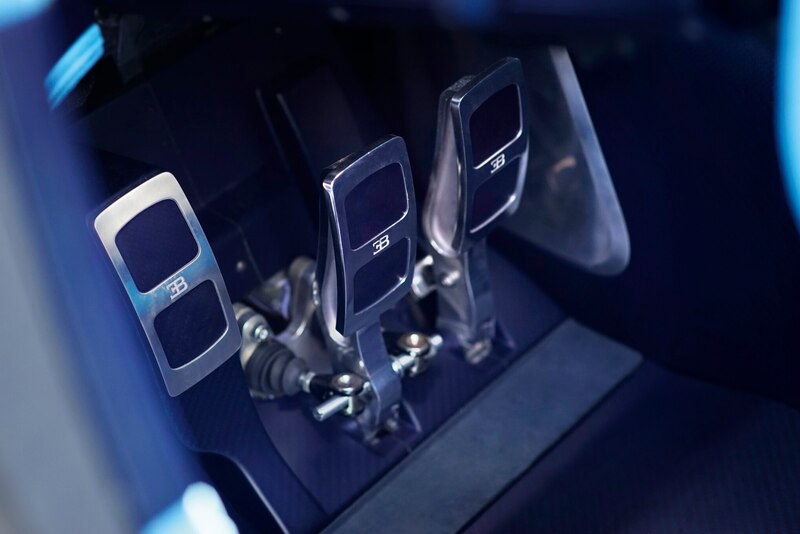 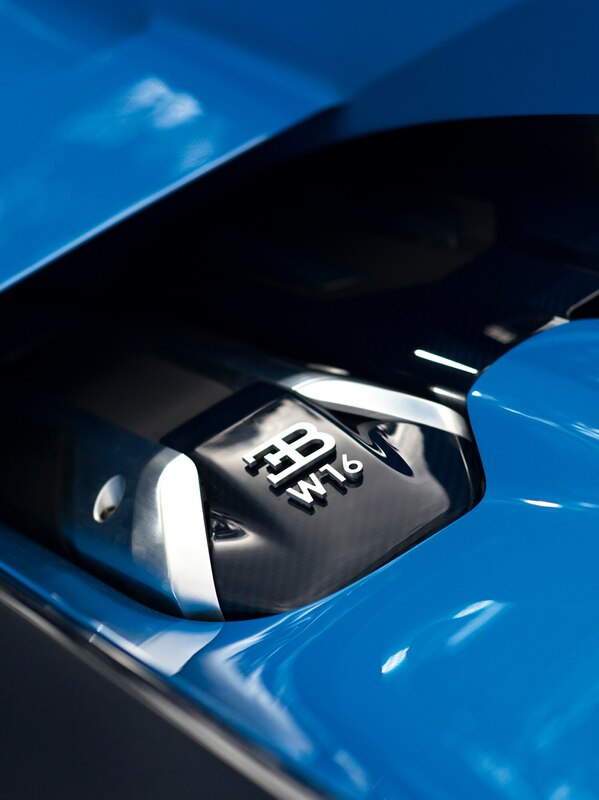 Its powered by Bugatti’s longstanding W16 engine, presumably with the quad-turbocharging setup. 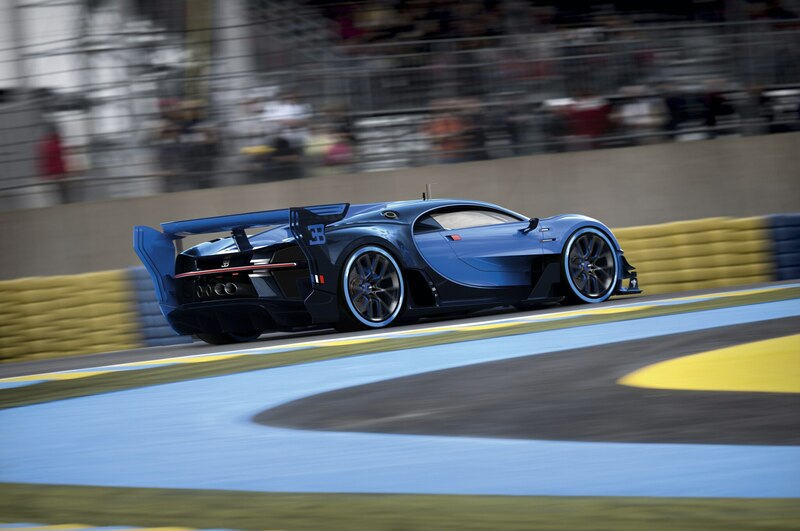 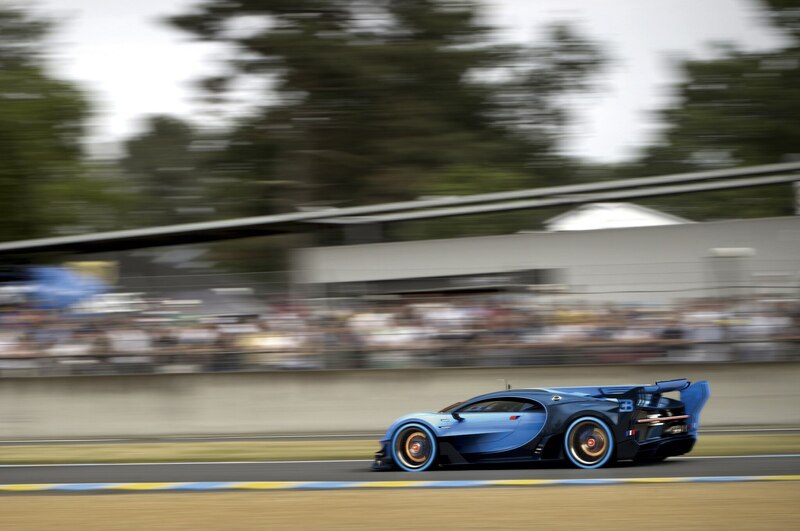 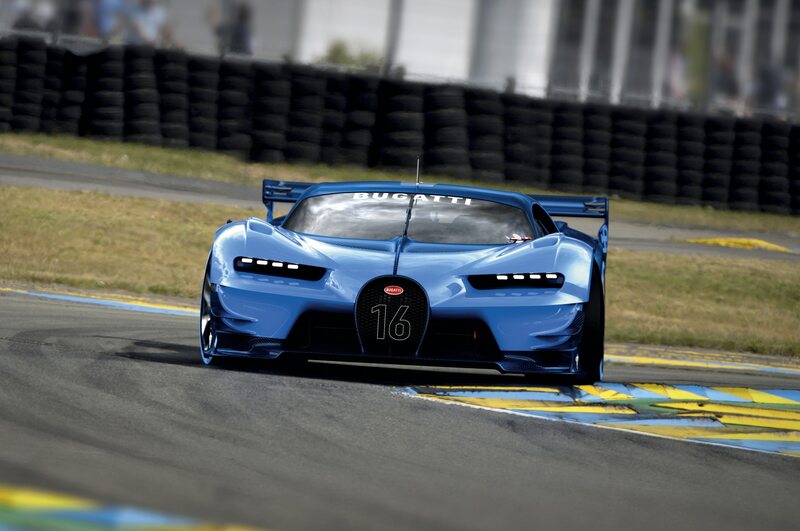 Since Bugatti engineers claim they calculated the Vision Gran Turismo can crack 250 mph on four sections of the Circuit de La Sarthe Le Mans track, power is punching far above 1,000 hp. 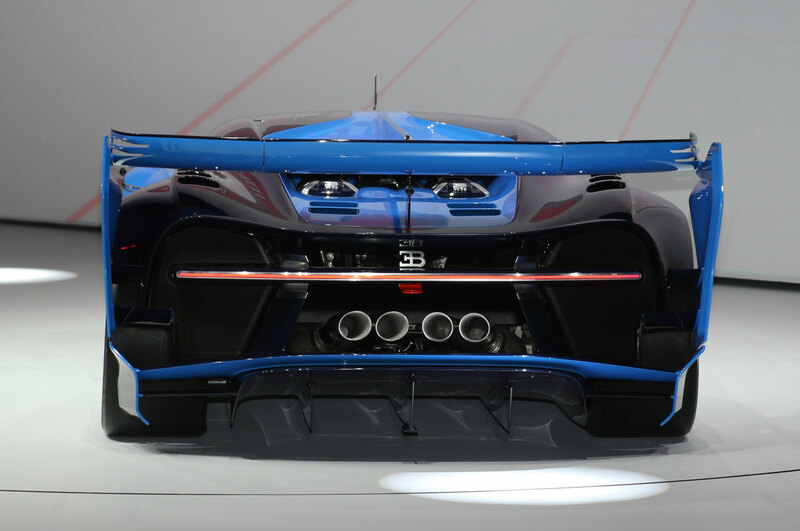 While this is quite a bit of oompf, it’s far less fanciful than, say, the 2,590-hp SRT Tomahawk Gran Turismo concept. 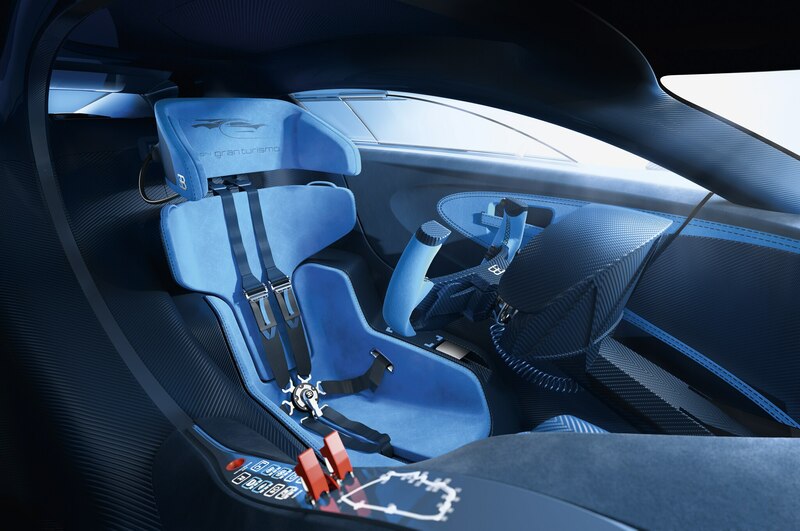 The interior is a fantastic environment of exposed blue carbon fiber, alcantara, and cleanly-backlit surfaces. 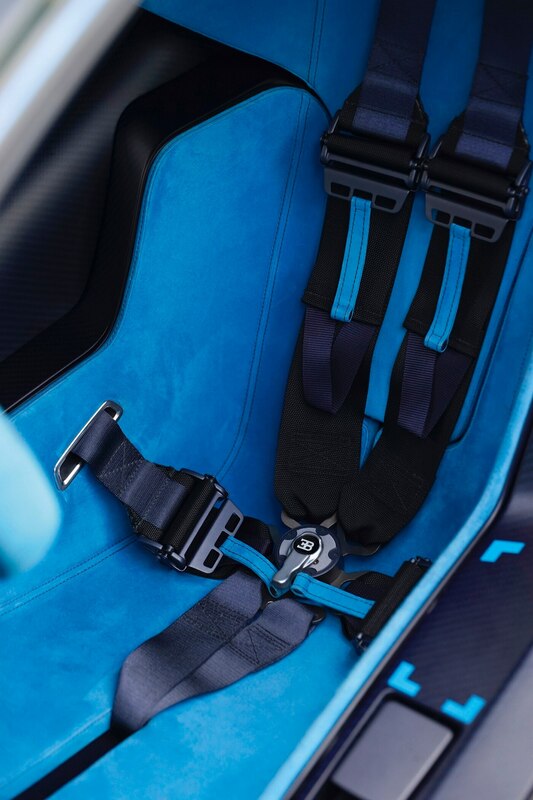 the interior is wrapped around the driver, with all immediate controls falling right to hand with a sweeping center console. 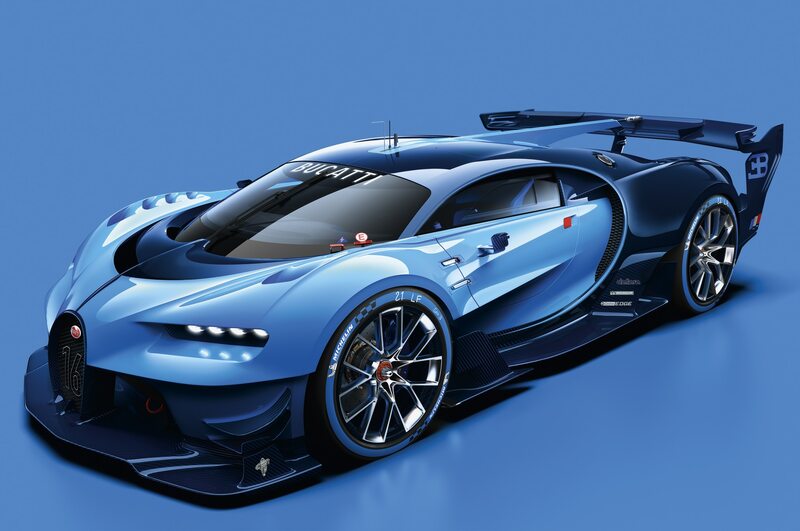 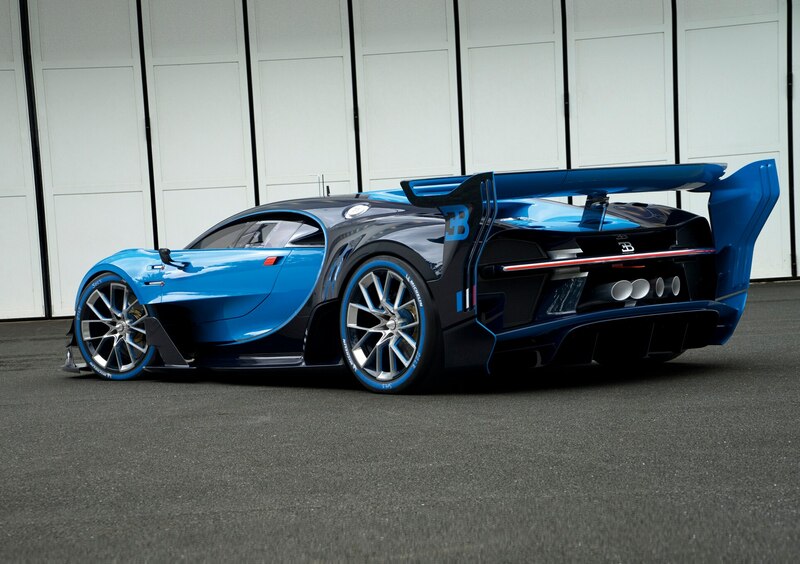 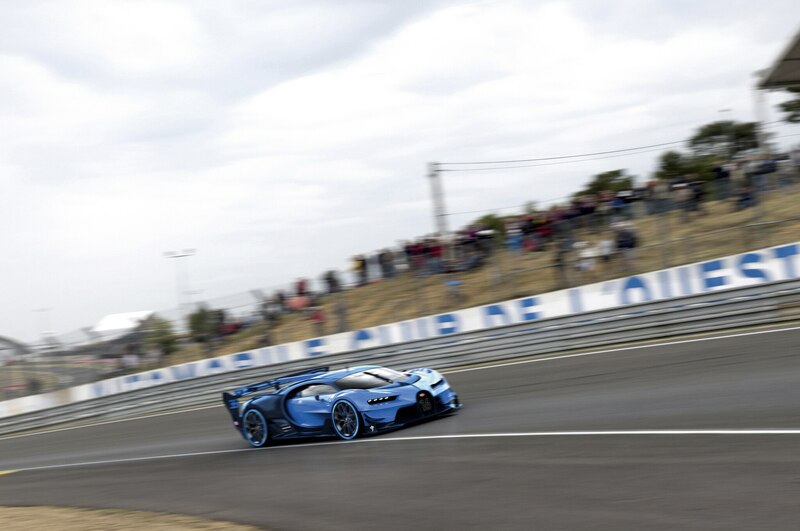 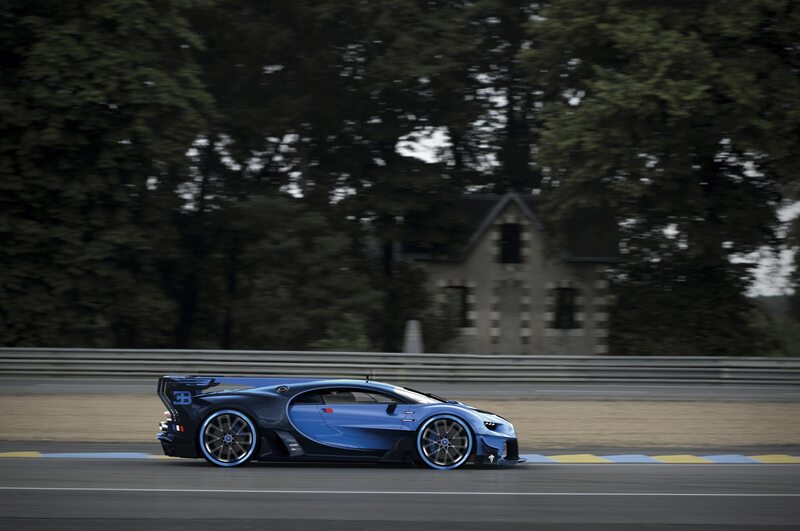 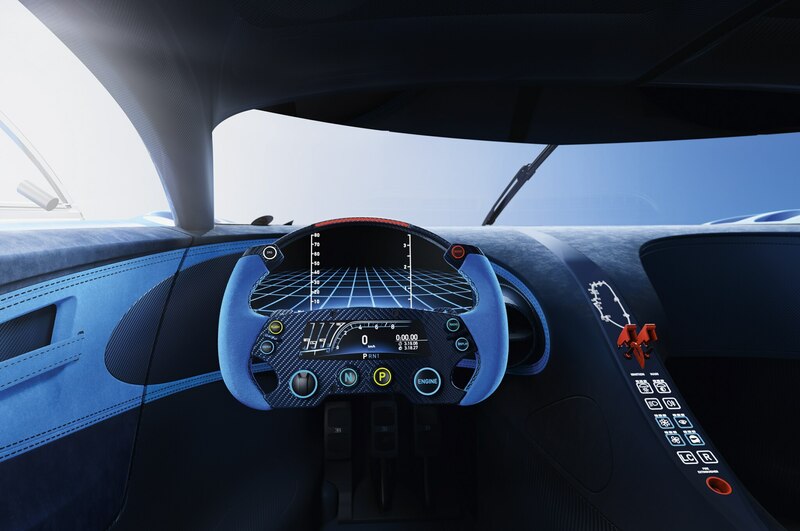 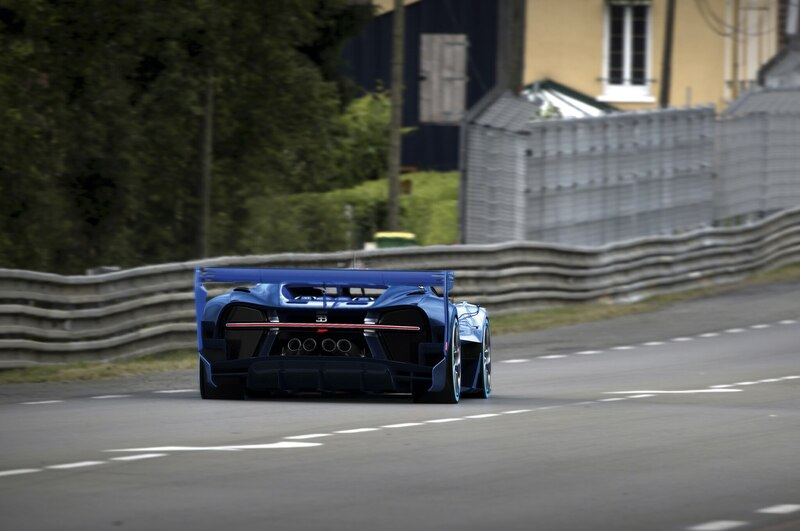 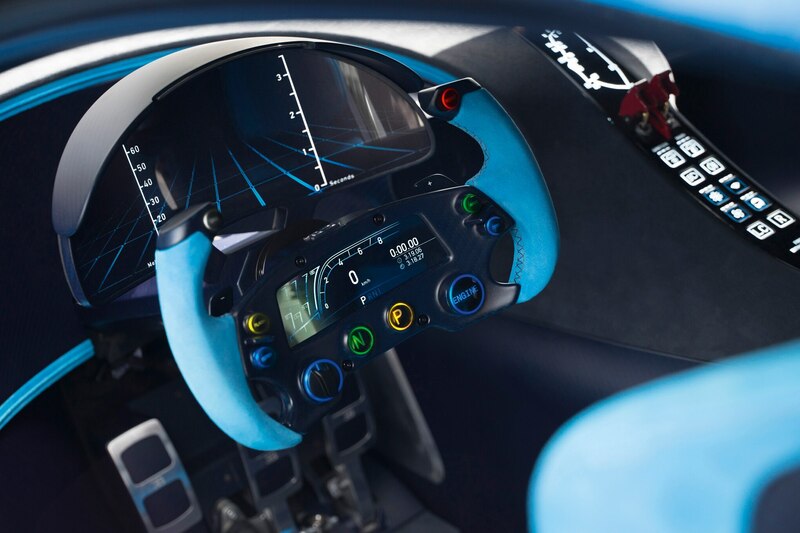 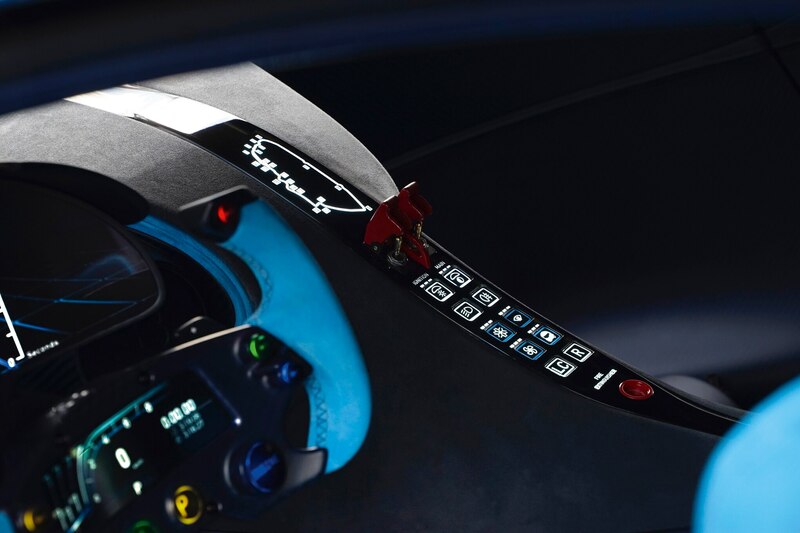 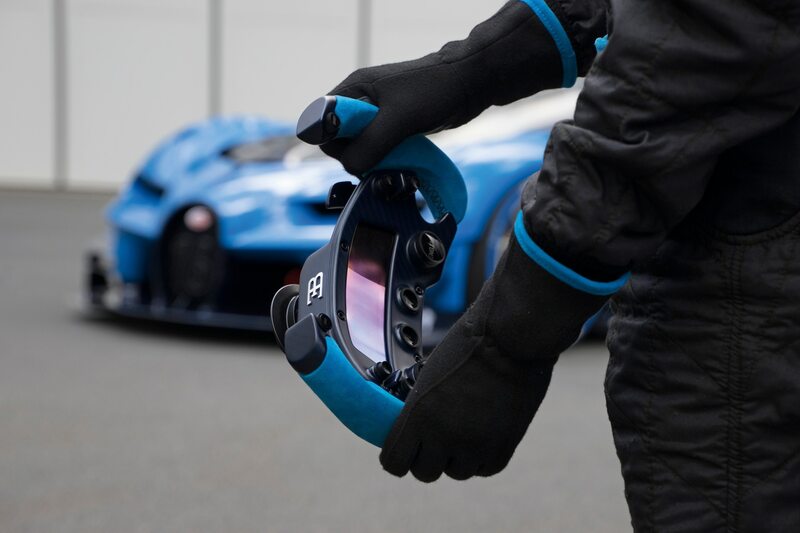 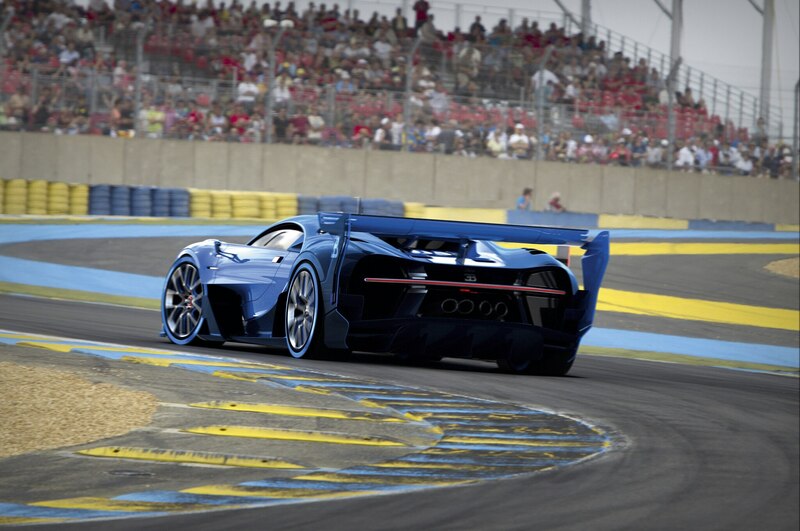 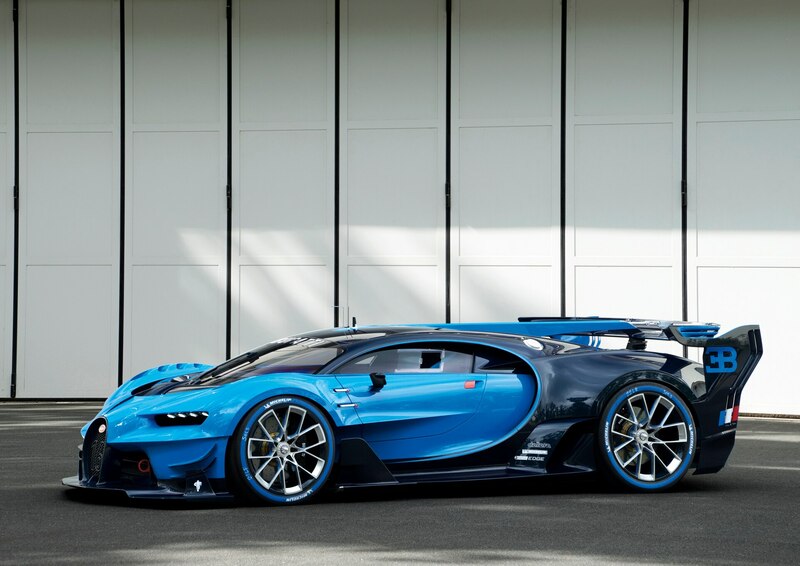 After the Bugatti Vision Gran Turismo makes its public debut in Frankfurt, Gran Turismo gamers will be able to download and race the car virtually.